The only really precious jewel Amália had. "My little star" she called it. She took it everywhere and rarely left it stored away. Once she lost it in Paris and made the whole team search for it. Lusitana Collection is inspired by the name of one of the most pretigious fado places in Lisbon, Café Luso. 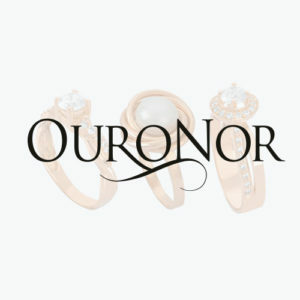 The new jewelry brand of OURONOR, Amália, is an honor given to one of the most valuable symbols of Portugal, that expresses is a song what it is to be Portuguese. The new set of jewels were inspired in a immense collection of originals adding, however, some contemporary forms. Serving to celebrate Amália Rodrigues portuguese icone by the skill, knowledge and talent of several creators and artisans of goldsmithing and jewelery.